Last year I suggested some simple changes to one of my clients that resulted in Page 1 visibility on Google and more website leads OVERNIGHT. It took her about 10 minutes to do. It was so simple! Even I was surprised at the results. A Google My Business listing shows a map and details about your business including your services, hours and specialties. Optimizing your Google My Business listing is the fastest way to get on Page 1 of Google for free. The difficulty of getting that Page 1 spot on Maps depends up on the competition in your market. The more reviews you have, the more likely you are to rank. 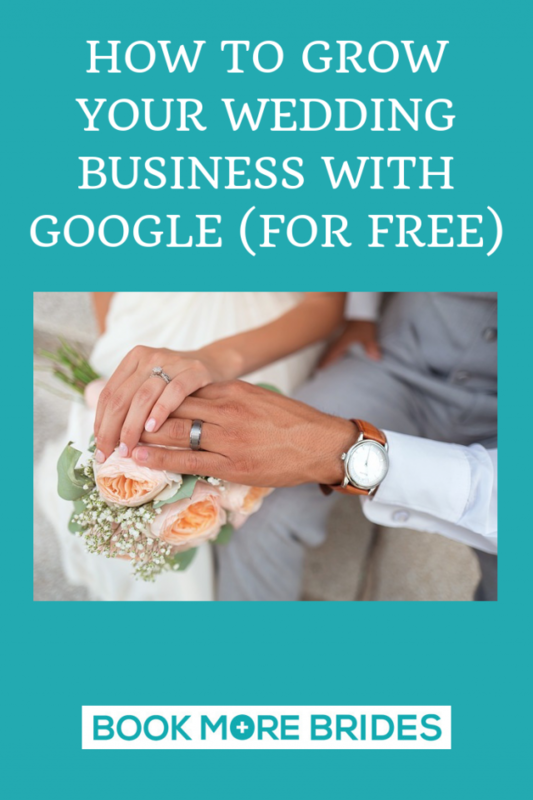 If you don’t have your wedding business listed on Google My Business, do it immediately. If you DO have a listing, optimize it. Fill out the description accurately and completely using the words your couples search. Make sure your business name, address and phone number exactly match all your website properties. Add more business categories, if applicable. Get 5 – 10 reviews. Add the map to the contact page of your website. Join the Acceleration membership (if you haven’t already) and go to Workshop #40 for how to get more leads with a Google My Business listing. As a Google local guide, you leave reviews for other local businesses. The more reviews you leave, the more points and privileges you earn, including free Google storage, offers from Google partners and more. Note: you cannot promote your business directly as a Google Local Guide. You have to sign up through your PERSONAL Google account. If you get found out as promoting your business, Google will strip you of your badges and privileges. So what are the benefits of being a Google Local Guide for your wedding business? Well, there’s evidence to support the idea that being a guide indirectly (and possibly directly) helps your business. Your reviews left as a local guide are powerful. This helps you build referral relationships with other local businesses and earn their reviews in return. Being a local guide adds legitimacy to your Google Business account, proving that you’re a “real person.” This creates credibility with potential clients and with Google. There’s no direct evidence that Google will boost your SEO as a result…but it won’t hurt. You get local name recognition as an expert each time your leave a review. “The theory is, the more I scratch their backs, hopefully they scratch mine. “You can contribute and not be a local guide. “Once they figured out what I was doing, they dropped the storage and stripped me of being a Local Guide. Now I just do things without the recognition, however, when people see something from me it is from my business. Google Local Guides: Is it good for your wedding business? If you’re the type of person who LOVES helping people and leaving reviews, this could be a valuable strategy to boost your local reputation. But don’t expect to get leads with it overnight; the effect will be indirect and difficult to measure. I suspect this would be best for wedding planners, officiants, event sales reps and venue owners because it positions you as an expert “concierge” of your local area. This type of recognition won’t be as effective for national or international wedding professionals. And if writing reviews isn’t your thing, skip it. Remember that there’s no evidence that your activity as Google local guide boosts your SEO; it’s more likely that it has a cumulative effect of branding your name in a positive way in your local market. 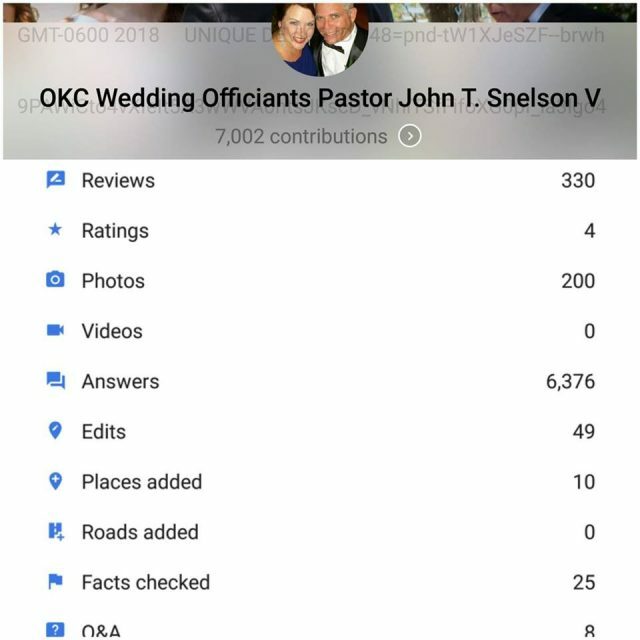 One other way to Grow Wedding Business with Google is to create and share your wedding profile on top online wedding platforms like wedding.net, weddings.happyshappy.com, all4weddings.in, wedair.com and many more. This platforms will help you to directly get in touch with Wedding Vendors and Suppliers. No matter what type of business you own or operate, Google my business and Google local guide are very helpful in improving your online presence for free. If your business is not yet listed, better do it as soon as you can to take advantage of their benefits. These days, more and more business owners are utilizing Google my business and Google local guide to grow their business. The Google local guide is the choice for growing your wedding business because it provides your customers a chance to submit a review or feedback about your business. In addition, it will help all types of people, including wedding planners, venue owners and sales reps.